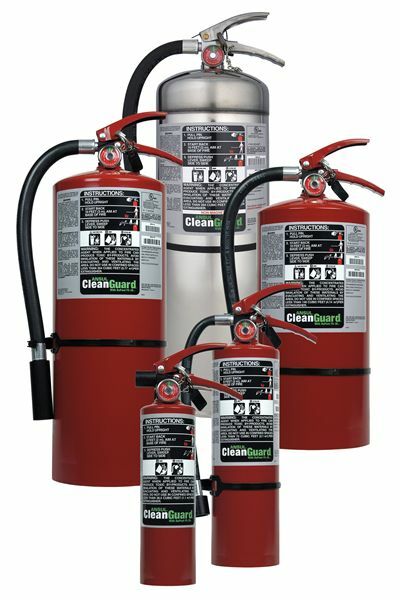 To protect lives and property portable fire extinguishers are required for all facilities. As your service provider, we inspect, service and maintain your extinguishers so when the need arises, you can be confident that they will protect you from fire. Whether you need one, or a hundred – inspected, serviced or recharged, we offer fast reliable service. Upon completion of the inspection, a new tamper seal and service tag will be attached and your extinguishers will be code compliant for the period of one year. This service work meets NFPA 10 requirements. Our technician will check hoses and couplings for damage and debris. The hose will be inspected to insure that it is properly racked in the cabinet and that the nozzle is correctly attached. 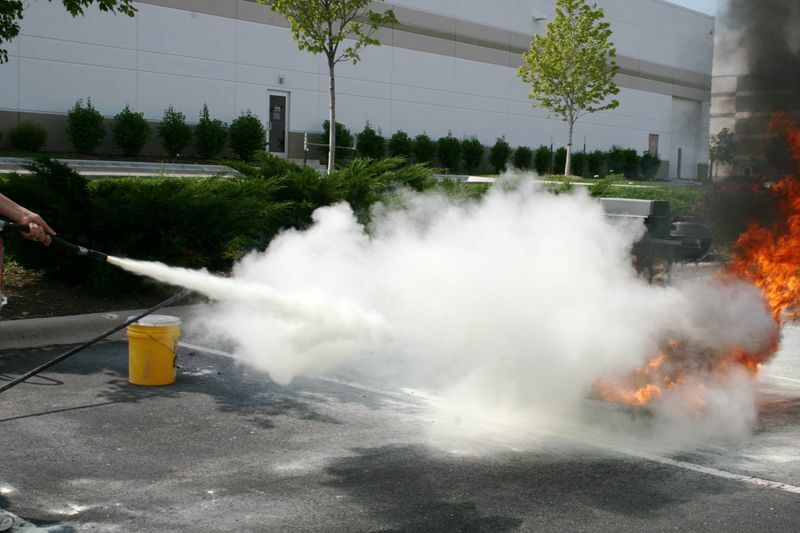 If the hose is due for testing our technician will unrack the hoses and bring them to our facility where we will unreel and inspect the hose, couplings and nozzles to assure they are free of debris and exhibit no evidence of mildew, rot, cuts, abrasion, etc. The hoses will be hydrostatically tested and dried. This service meets NFPA 1962 Standards. The hoses will then be returned to your facility and re-racked. 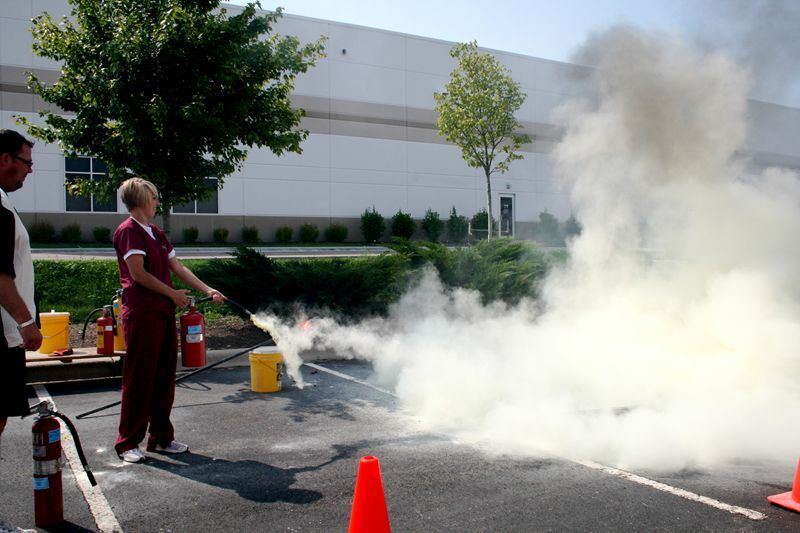 Hands on training in the proper use of portable fire extinguishers helps insure that when an emergency arises, your employees are trained to respond. 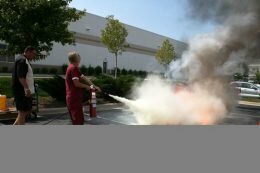 Fire Training provides peace of mind that in the event of a fire, everyone knows what to do to safely protect lives and property. Fox Valley Fire & Safety offers training tailored to your specific needs and to provide the first line of defense. 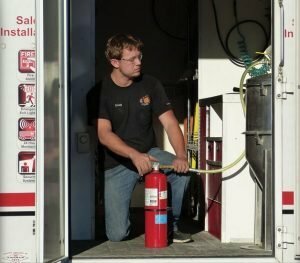 Regardless of the number of employees (5-500) your employees will gain the confidence they need to safely protect lives in the event of a fire.